If you are like most office workers and sit at a desk for prolonged periods of time, you may be experiencing back and/or neck pain due to poor posture. While sitting is largely unavoidable during the work day, there are things you can do to lessen the pain. Here are five tips to help alleviate back discomfort during the work day. Practice good posture. Keep your feet flat against the floor and your back against the chair. 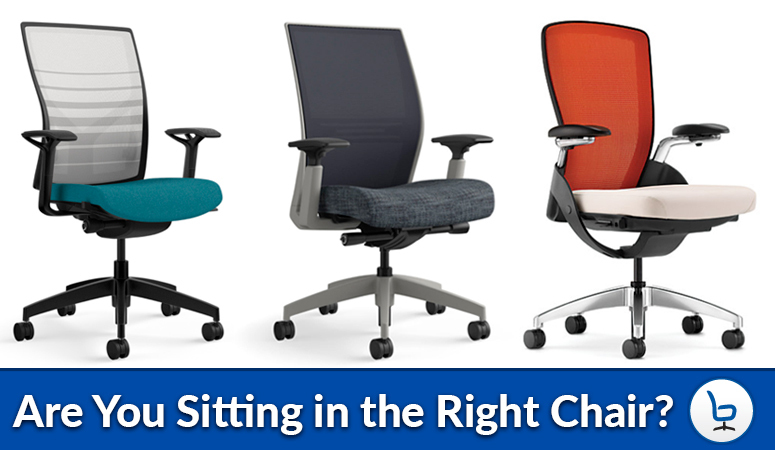 Properly adjust the height of your chair, and keep your head in a neutral position. 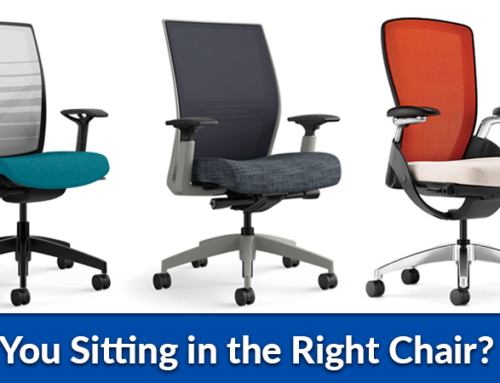 Learn more in this blog post: How to Properly Sit at a Desk. Adjust the height of your monitor and fix keyboard placement. Position your computer monitor an arm’s length away and so that the first line of text is at eye level. Position your keyboard, so that your arms are bent at a 90-degree angle. You should not have to curve your back to touch the keys. Limit smartphone usage. If you are like most people, you bend your head down to use a smartphone. This adds to poor posture and can create back and neck pain over time. Walk around. Take breaks from your desk and walk around the office. Aim for once every 30 minutes. If you can’t walk around every 30 minutes, try to stand up and stretch. Following these tips should help back and neck pain associated with sedentary behavior at work. Taking a few moments out of your day to properly adjust your workstation and move around the office can make a huge difference in your physical wellbeing. To make it even easier, we will even come to your place of business and complete a free ergonomic analysis report.